“Are you up for a challenge?” our coach asked. My first reaction was to think of all the reasons why I was NOT. But instead of just saying, “No,” I asked what the challenge was–and he moved on to the next person. Out of the entire group, only two people said ‘Yes’ without question–and that, really, was the right attitude. My first instinct is to avoid challenges–to stay comfortable and hide in the middle of the pack. My first marathon was a challenge. But the second? Third? Sixth? Not so much. I KNEW I could run and finish without doing any worse than the last time. But I wouldn’t exactly call it a challenge. A challenge would have been to set a goal, and then win or lose, go for it. Crossfit and marathons are inherently challenging, but I am also lazy. It isn’t natural for me to push myself. 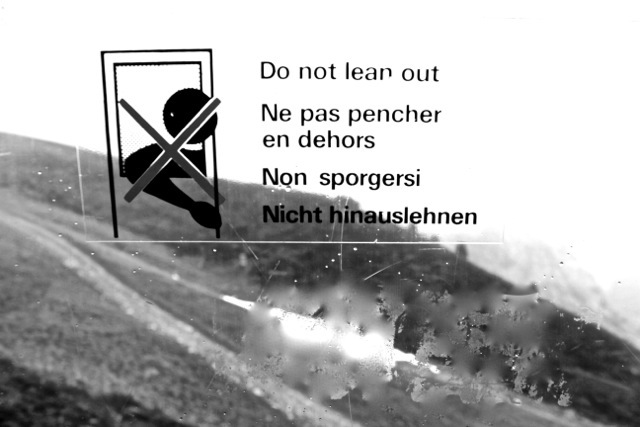 I’m not talking about jumping out of Seilbahn and trying to fly. But I do know that I could try to add a little more weight to the bar, even if I end up dropping the whole damned thing. Ever since I had coffee with a random German guy at the Pitztal Gletscher Marathon last June, I’ve wanted to run the Jungfrau. He said he had done it, and I could too. Then he showed me pictures on his phone. If you’ve never looked at pics from the Jungfrau, do so. It is INCREDIBLE. That’s the kind of running I want to do. It IS a challenge. But is it enough of a challenge? I’ve had a crazy squirrel running around in my head telling me that while I CAN complete the Jungfrau (and I know I can, even if I had to drag an Oxygen tank with me across the finish line), I should try to finish in the top half of my age group. That thought scares me because typically, there are very FEW women my age running, and when they are, they beat the compression hosen off me. European women my age are members of running clubs and wear matching t-shirts and collapse when they cross the finish line; whereas I like to finish smiling and holding hands with the people I love. Women my age (who want to do something fun) sign up for the 5k or the 10k or even the half or they clack around in the Nordic walking stick group–but they don’t run marathons unless they’re serious. I still want to finish well (which means without need of medical assistance) but I also want to stay focused mentally; to correct the negative self-talk that causes me to wither during a race (around km 36); and to ignore the pain. (Marathons always hurt, and so far, slowing down doesn’t help anything). Most of all, I want to finish smiling. My goal is to spend the next few months not just training my body, but also getting my mind to the “bring it on” level, which I so admire. I don’t know if I’ll even get a slot at the Jungfrau (registration opens in February), but my new challenge for myself is that the NEXT marathon I do, I want to finish in the top half of my age group. [Yes, that WAS my first thought…see, I AM challenge-challenged]. If I don’t meet that goal, then who cares? At least I will have given it my best shot, and I can walk away proud, knowing that I went for it without question. It’s a new mindset for me, and one that requires practice. Lots and lots and lots of practice, I fear. I have 10 months to train for Jungfrau. 10 months of pushing myself further and further, aspiring to meet my challenge, yet still smiling, regardless of what the numbers might be at the Ziel. This entry was posted on Saturday, November 16th, 2013 at 7:39 am	and tagged with challenges, Crossfit, focus, Jungfrau, marathons, mental health, Pitztaler Gletscher Marathon, Running, training and posted in Crossfit, Marathons. You can follow any responses to this entry through the RSS 2.0 feed.